It’s that time of year! Snow season is upon us. This email will serve as a reminder of our snow policy. 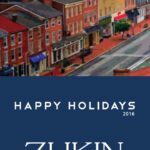 It is the parking tenant’s responsibility to shovel out the individual purchased parking space; regardless if it is plowed in from Zukin Realty Inc. snow removal or from the Borough’s street snow plow. Additionally, the borough declares a snow emergency when a snow accumulation of 6 inches or more is expected or when extremely hazardous conditions exist such as an ice storm. During these times much of the on street parking in the borough is not permitted. We also ask that you DO NOT PARK in your Zukin parking spot in the above listed lots so that we may plow and clear the areas as needed. If you are parked in the space during a snow emergency, you may be towed. If you rent a “snow spot” you are required to move and find other parking accommodations. The snow spot is rented to you at a discounted rate so that we can successfully plow the lot and push the snow into your spot.